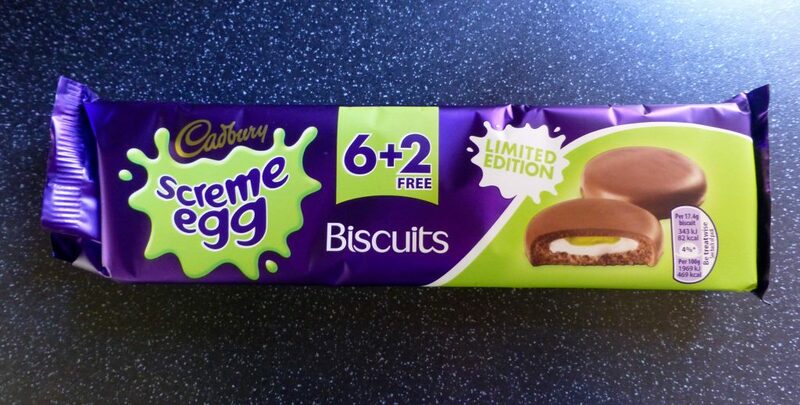 Before Mondelez International decided to be plonkers and change the Creme Egg recipe, yes Mondelez we have noticed and we hate you for it, I used to love the Creme Egg biscuits and Creme Eggs for that matter. 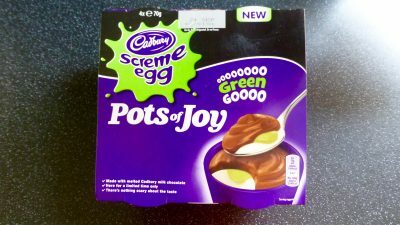 Since that change I didn’t bother buying any last year however as we are on a Halloween Monster Munchies mission today we have the limited edition Cadbury Screme Egg Biscuits. Will these be a trick or a treat? I take no credit for these at it was the Daddio who spotted these in the local corner shop and bought them for me for the blog. I feel quite jammy that there were 2 extra free biccies in there so lets hope they are yummy. Per Biscuit: 82 kcal, 1.8g sat fat, 8.6g sugar, 0.9g protein. It is always promising when the gooey centre can barely contain itself when you bite in! The definition was certainly there and as you can see the white and green gooey egg is clearly visible. This however is where the good points end. I haven’t a clue what the heck they have done here but it just tasted stale. The milk chocolate didn’t taste of chocolate at all, in fact it didn’t taste of anything really. The gooey centre didn’t have that signature Creme Egg taste and the biscuit well that was dry, bendy and not at all pleasant. 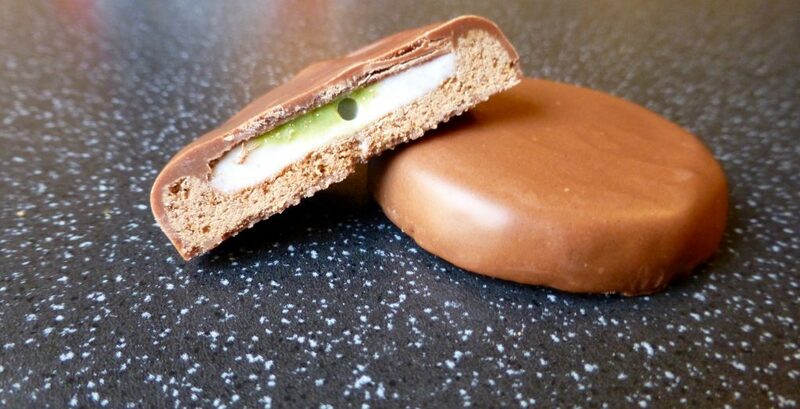 All together this is one disastrous biscuit, it makes the general Creme Eggs these days actually taste good! Shame on you Cadbury!